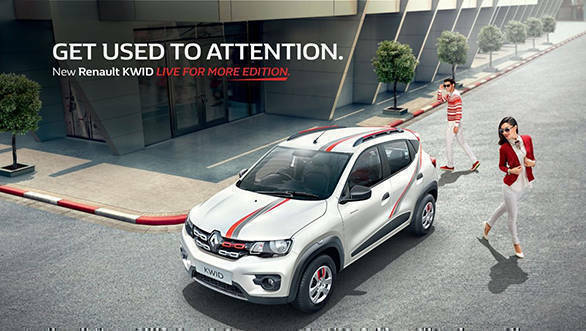 Renault has silently launched the Kwid 'Live for More' edition in India at Rs 2.93 lakh, ex-Mumbai. The special edition is available with the 800cc and 1.0-litre engines, with a choice of manual as well as AMT options. The waiting period is one to three weeks depending on the exterior colour selected. The offer is on 2016 models as sales of the Kwid have taken a slight dip and Renault is likely to bring in an updated model with a stronger body shell. A few months ago, Renault India had a Kwid crash tested by the Global NCAP. The result was zero stars because of poor structural rigidity. The company then offered another improved model, and this was given a one-star rating. This is the model that will be sold as the 2017 car. Coming back to the special edition, it boasts red stripes on the bonnet, roof, sides and roof rails - similar to the redi-Go Sport. There is also a slight red tinge to the grille as well as the wheel caps. 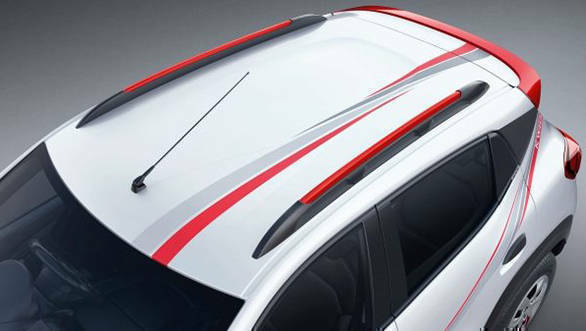 Renault India has also added an integrated red spoiler to the Kwid with this edition. 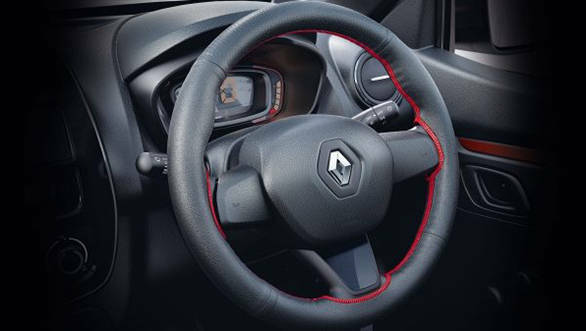 The red theme carries forward to the cabin of the Kwid as well with a red-striped steering wheel and door pads. Other features like the touchscreen infotainment system on the RXT(O) variant continue. 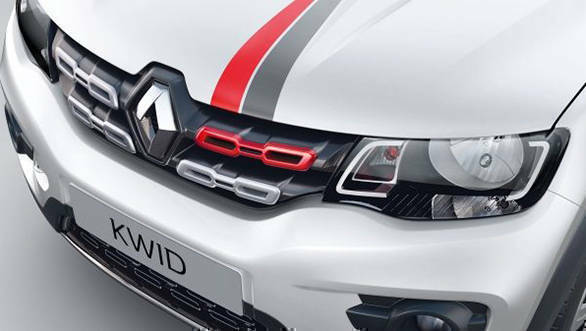 Sometime this year, the Kwid concepts shown at the expo will be launched as well.